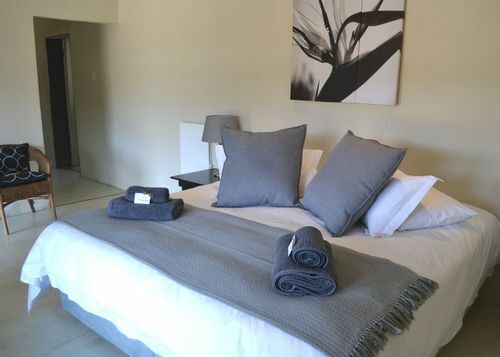 The Lodge has a distinct farmhouse character with elegant modern suites and wide verandas. 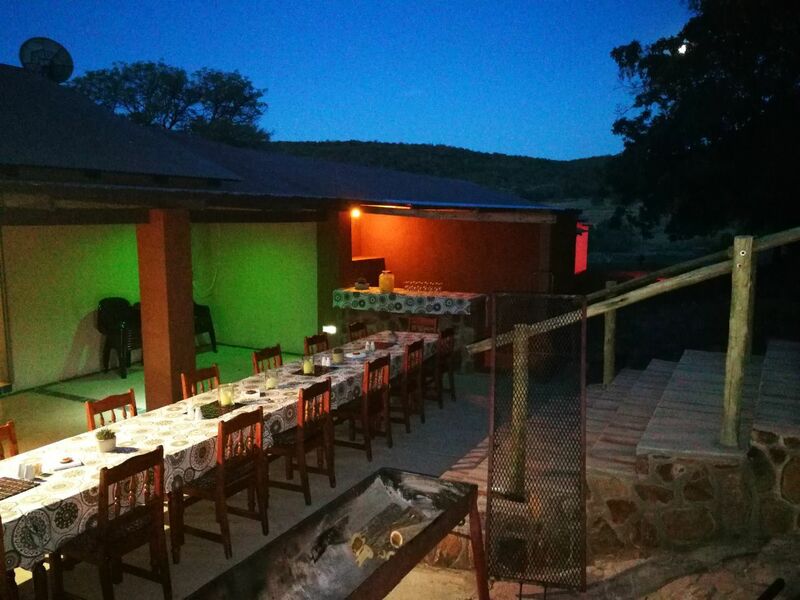 The farm lends itself mostly to self catering accommodation, mostly for groups and conferences, but couples are welcome to book if they want to spent time on their own. 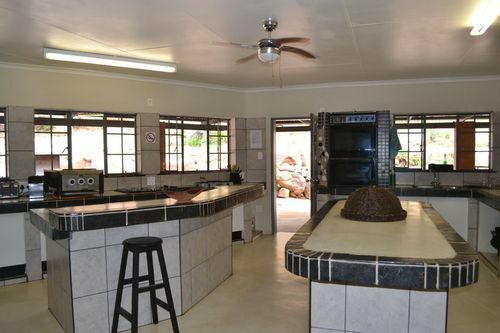 A large fully equipped kitchen with fridges and freezers and a dining room / lounge is part of the Lodge. Meals are also available on request. All the rooms are en-suite and beautifully decorated. Some rooms can accommodate up to 4 guests or 2 adults and 2 children. All rooms have a separate coffee/tea making area with a basin. All rooms are being serviced daily. The swimming pool area has a great view, and a bar and restaurant is in the process of being built. Yiwarra Game Farm also has 2 boma areas where guests can sit around a campfire with family and friends. A beautiful braai area also available for guests use. Dinner can also be set up outside in the open air. 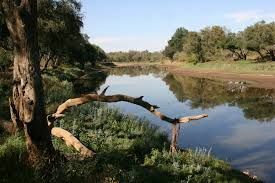 There are also a camping area for serious campers who would like to enjoy nature at its best. Bathroom with hot shower available but no electricity. Bring your own lanterns. 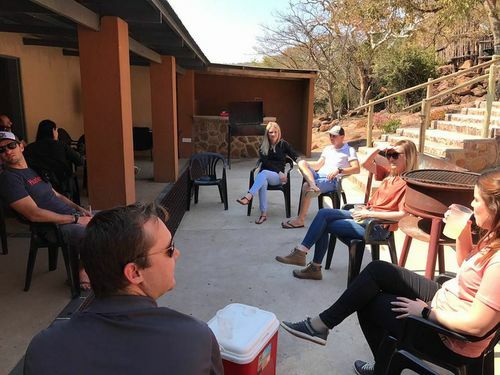 Boma with braai area available. Ice, cold drinks and wood for sale on premises.